School of Love’s mission is to deepen Catholic marriages and families in faith and in love, through continual formation programs and materials that are spiritual, intellectual, and relational. School of Love provides ways for couples and their children to grow deeper in the faith while simultaneously growing deeper together in marriage and family. They offer a variety of dynamic materials, courses, events, and writings for a variety of participants, from engaged couples, to married couples, and to families. All of these programs and materials are geared to form couples and their children spiritually in the life of prayer, intellectually in the teachings of the Church, and relationally in the human bonds they have together. Visit our DATE NIGHT event page for more details! 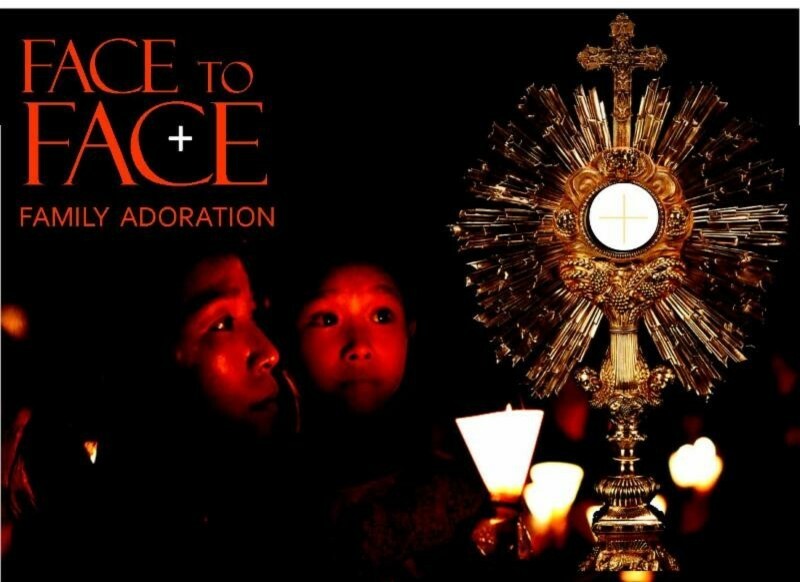 FACE TO FACE is an amazing night filled with: adoration, candles, prayer, silence, Scripture meditations, and music from the awesome praise band. Get excited, pack up the van or SUV, and spend your Sunday evening well! Visit our FACE TO FACE event page for more details.